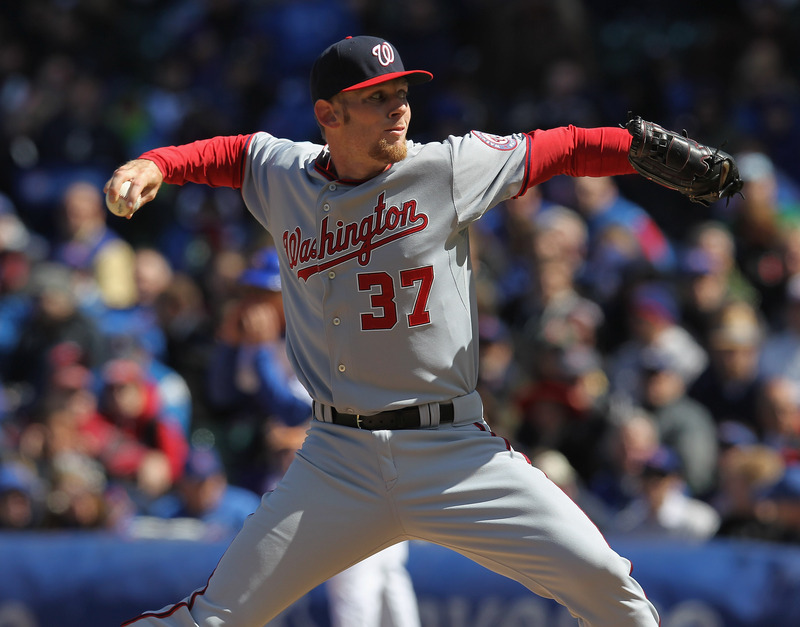 It remains to be seen if Stephen Strasburg will be the Nationals‘ Opening Day starting pitcher for the third year in a row when they start the season March 31 at Citi Field, given a strong rotation that also includes returning 19-game-winner Jordan Zimmerman, Gio Gonzalez (21-8 two years ago) and newcomer Doug Fister. But he has a good track record for that assignment so far and the Nationals are 2-0 when he gets the season going amidst pomp and circumstance. 2012: While perhaps nothing can compare to his 2010 Major League debut for pure anticipation and satisfaction (14 strikeouts), Strasburg, pictured above on that day, generated big excitement by returning from Tommy John surgery to start the season at Chicago. He scattered five hits over seven innings, dinged only by a Marlon Byrd RBI single and getting a no-decision in a 2-1 Nats win, on the way to a 15-win season that had to be shut down early due to pitch count. 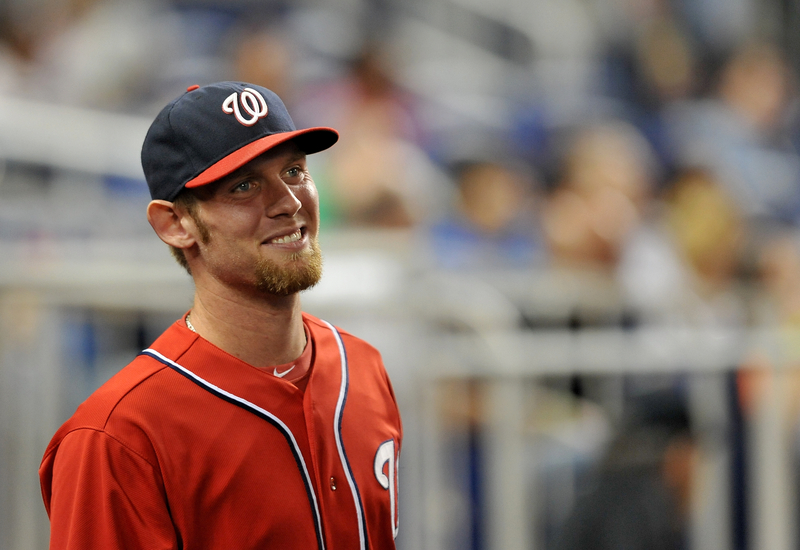 2013: In front of 45,274 at Nationals Park, Strasburg threw seven scoreless (three hits) and got two Bryce Harper homers for a 2-0 victory over the Marlins. Strasburg retired 19 in a row during that outing, and probably could have gone longer, but then-manager Davey Johnson wasn’t taking chances at that point. Longtime Dodger Don Newcombe or Greg Maddux when he was a Dodger! Today is my 5 year blog anniversary!